Club El Beril Resort invites you to enjoy lazy days by the crystal clear pool, go fishing in the Ocean, or simply relax in the comfort of your elegant accommodations. 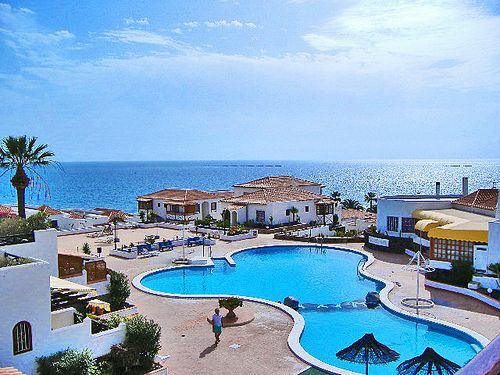 The Resort also features a children’s pool, laundry, on-site medical facilities and car rental, if you prefer, public transport the bus service ir right on your doorstep. Located perfectly Club El Beril is your private oasis nestled away on beautiful, well-maintained grounds with panoramic views. 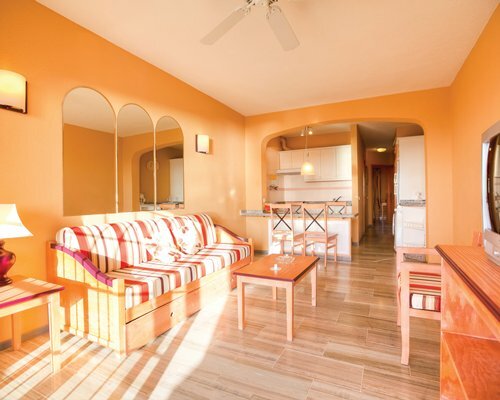 The Units at Club El Beril comprise of studios apartments sleeping two, One bedroom sleeping units sleeping four, with double bed and a twin pull-out sofa bed, and Two bedroom sleeping Six, with twin beds and a twin pull-out sofa bed. All units full kitchens with oven, four hob rings, full fridge freezer, kettle, toaster satellite TV, video, telephone, iron, ironing board and ceiling fans in the living room. Some Two Bedroomed apartments have bathroom and shower room, one bedroom units have one bathroom.